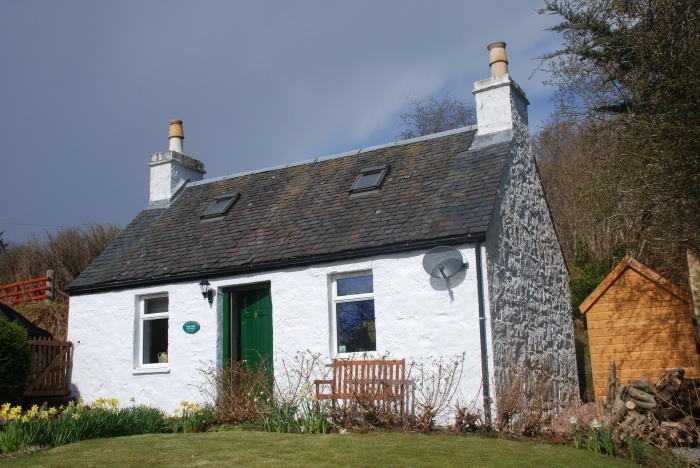 A cozy traditional stone built cottage just a 5 minute drive to the ferry to Mallaig on the Scottish mainland. Yes, you can still sail over the sea to Skye! Sleeps two comfortably at any time of the year. 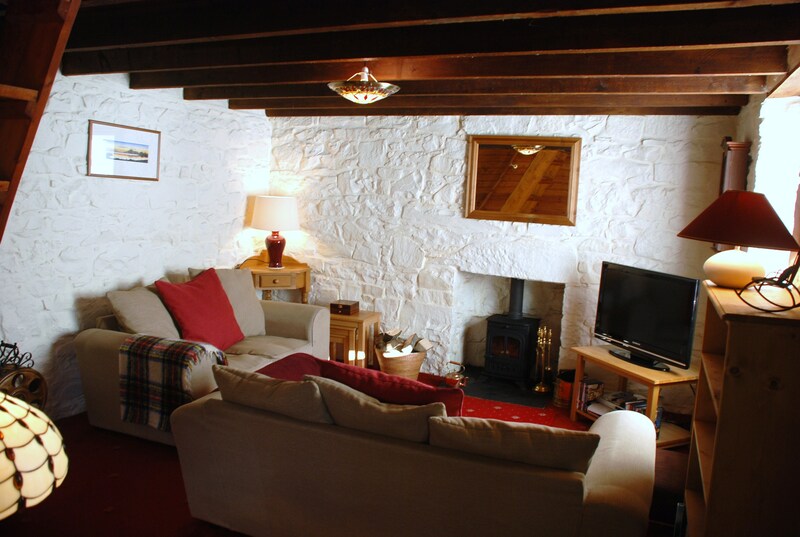 Located in Ardvasar on the Sleat Peninsula, the Garden of Skye, the cottage has its own garden and off road parking. The Point of Sleat offers stunning views of Eigg and Rhum and secluded coves with white sandy beaches.